With the sheer immensity of the state, there are so many excellent destinations to visit in Texas. Fly a private jet charter to San Antonio with JetOptions and have the time of your life, whether you’re traveling solo, with a companion, or with your family. When you fly a private jet charter to San Antonio, there is a mixture of commercial and private airports to land at; it’s merely a matter of choosing the right one for you. The largest airport in the region is San Antonio International Airport. There are three long runways and four fixed base operators on the ground to meet the needs of private jets. South of San Antonio‘s downtown district is the Stinson Municipal Airport, a general aviation facility. There are two runways here, one fixed base operator (FBO), and one helipad. Northwest of downtown are airfields in the cities of San Geronimo, Boerne, and Kestrel. These are general aviation facilities for private planes with smaller runways of less than 5,000 feet. After you fly a private jet charter to San Antonio, you can enjoy numerous attractions. If you enjoy a good scare, consider going on Bad World Ghost Tours. You’ll learn about San Antonio’s colorful history, go on ghost walks, and visit the city’s most haunted estate, The Victoria’s Black Swan Inn. Better, go on the Haunted Pub Crawl. These tours use ghost hunting equipment so you can correctly detect the ghouls of the night. Go on the Cottonwood Wine Tours when you fly a private jet charter to San Antonio, with convenient door-to-door pickup and drop off from the San Antonio area. Sampling some of Texas’ finest wines and enjoying historical Fredericksburg, you’ll learn about the winemaking process, about the area and Texas wines. 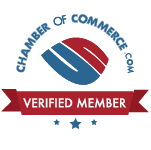 This tour is personalized, so you’ll be happy to know that your preferences are acknowledged. If you want to maintain your svelte frame after you fly a private jet charter to San Antonio, go on a Cycling San Antonio tour. 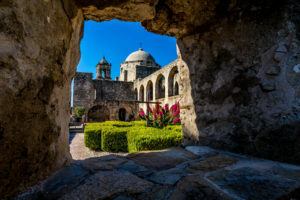 The tour guides are Certified Professional Tour Guides who are knowledgeable about the Old Spanish Missions and history of San Antonio. Bikes, helmets, and snacks are included in the tour! Should you need a day of relaxation when you fly a private jet charter to San Antonio, visit a spa, such as the DASA Spa. For a day of pampering, you’ll enjoy this spa situated between the Alamo and the Riverwalk, offering massage therapy, facials, spa treatments, manicures and pedicures, all using organic products. For a taste of adventure, go to Mission Kayak to ride the majestic Mission Reach section of the San Antonio River. Trips can be 2 miles, 3 mile or 5 mile guided trips, shuttle tours, guided nature/eco tours as well as hourly rentals. There are specially designed kayak chutes, and there are small rapids to enjoy. These trips are family and pet-friendly and can be a single person or tandem kayaks for up to 3 people. These trips include kayaks, a paddle, a dry bag and life vests for children four years and older. Enjoy a private jet charter in San Antonio. Visit JetOptions Private Jets call or email us today.